Don’t Shoot! Oops, Please Shoot! What? : When I told the doctor about my loss of memory, he made me pay in advance. Paul headed out early this morning as we had a bagel nice and early since Sue goes to the hospital at 12;00 AM today. Off to the market. The cashier is wondering about Paul as the items he buys are always different. Today it was shaving cream and Chinese Hot Sauce! Don’t ask and I will not tell. 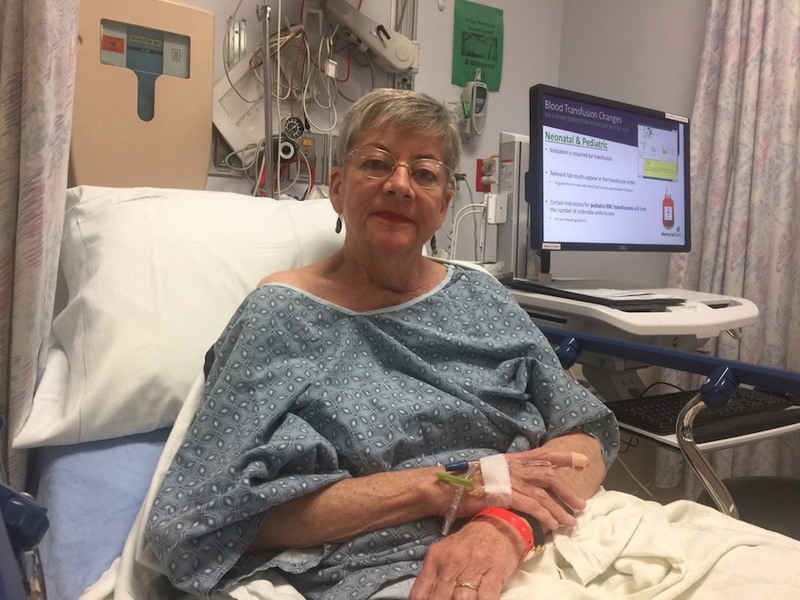 After the walk, we got ready to head to Long Beach Memorial Hospital for a noon check-in for another CT guided SI injection scheduled for 1″3- PM! We hope this works for a longer period of time that the previous one. Hurry up already! Let’s get the show on the road! The following video gives a good idea of the injection procedure without CT guidance. CT guidance uses a scanner to locate the joint and the needle so they get into very close proximity to the target. the joint! This is what they are going to do! We made it home about 4:00 PM and we had dessert and rested a bit before going to “One Hung Low’s” Chinese Restaurant to have dinner with the Branders! Leon and Marsha are good friends and they have been wanting to take us out for Paul’s birthday dinner since December but we have been putting it off. Finally we got to go and we had a ball…we laugh and giggle with them a lot! Returning home, we watched a Teagarden Mystery on the Hallmark channel before going home. Wonder why we like the Hallmark Channel? See below! Did You Know? The Hallmark Channel is an American cable and satellite television network that is owned by Crown Media Holdings, Inc., which is owned by Hallmark Cards, Inc. The channel’s programming is primarily targeted at families, and features a mix of television movies and miniseries, original and acquired television series, and lifestyle programs. One of these days, Paul is going to have to write a letter to the Hallmark Channel management and tell them how wonderful their channel is in this period of our nations history when most movies are junk… just junk. This entry was posted in Food and Wine, Friends, Walking and tagged Dining Out, Doctor, Friends, Hospital, Walking. Bookmark the permalink.